Plans are now underway so that the building itself will embody our ethos of welcome. ​We hope you'll join us in giving your support to this exciting project! We will create a new spacious North Entrance with easy access from our north lawn into the Church. This will include a new, more accessible elevator, two new north stairwells for safe and easy access to the Sanctuary, and updated walkways to the new entrance leading from handicapped parking areas along the east side of the building. We will also add wheelchair accessible pews in the Sanctuary so families can sit together. We will renovate and update our Kitchen, Vestry, and North Lawn to better serve the many needs of the church and the broader community. 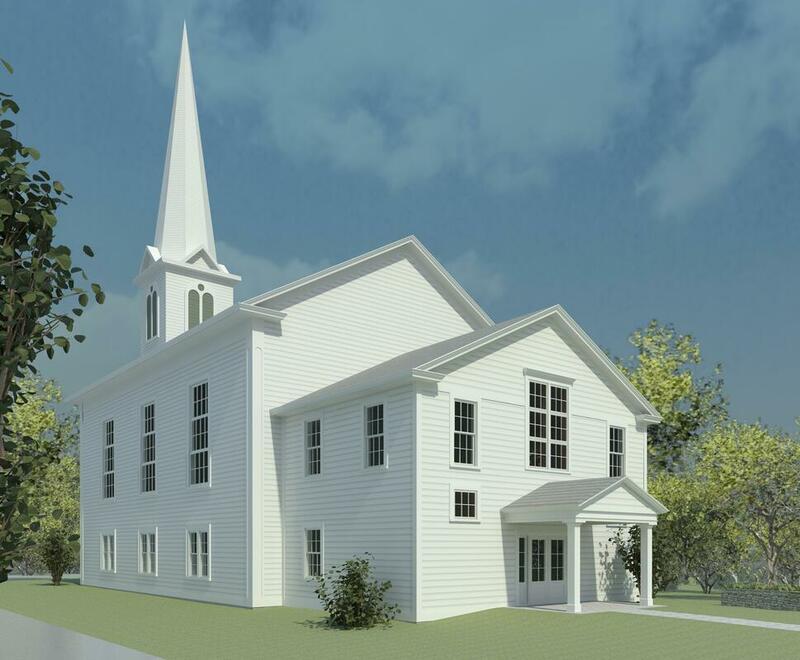 This will include a remodeled Vestry to create a more spacious and inviting room for church and community activities, improvements to the heating and air conditioning systems, and a new sitting garden area on the North lawn for quiet enjoyment by all. Make a pledge to be a part of this exciting project! To make a pledge to Project Welcome, download this pledge card, and then print it and mail it to the United Congregational Church or email it to us at office@ucclittlecompton.org. What is a gift that would be meaningful to you that would symbolize your love of the Church and your commitment to extending God's open arms to all people? Large or small, every gift counts! How long will I have to pay my pledge? How much is the project going to cost? We are waiting for final specs, but the rough estimate of the cost is $750,000. This was the target fundraising goal set by our Capital Campaign Consultant, who conducted a feasibility study to determine our readiness for this project. He enthusiastically endorsed this campaign goal and we are so excited to watch it coming to fruition! Project Welcome is in full swing! Our Building Committee are already hard at work. Click here to see more details about where we are in the process.